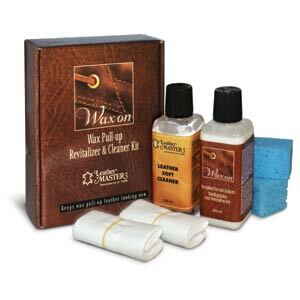 This kit contains the products you need to care for you waxy pull up leather. The Leather Soft Cleaner guarantees efficient but gentle cleaning. Wax on gives the leather the fats and nutrients that it needs to retain its suppleness and beautiful lustre. Please follow the instructions before using the products.